- Size Rang: In Seamless 1/2" to 24"
- Size Rang: In ERW, LSaw, SSaw, Spiral, DSaw, EFW 6" to 100"
The Large Diameter EFW Stainless Steel Pipes manufactured in this, finds application for Oil and Gas Exploration, Refineries & Petrochemicals, fertilizer, LNG Terminals, Cross Country Pipe Line for Gas & Water and Pipes for General Engineering Purpose. Suraj Limited have large diameter pipe division with inside – out side welding system, annealing , Hydro testing , Radiography Examination with length upto 12 meter and also giving under all third party and customer Inspection with in-house testing facilities. With sincerity and hard work of our engineers, we have carved a niche for ourselves in this domain by offering SS Large Diameter Pipes. The provided pipes are manufactured by using the finest quality raw material and contemporary technology. 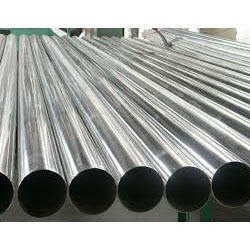 The offered pipe is commonly used in various industries for specific applications. Sam Weldtec Engineers Pvt. 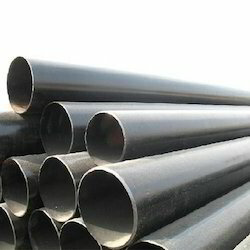 Ltd.
We are leading manufacturer exporters & suppliers of large diameter steel pipes in India with having different types, sizes, grades of pipes. The offered range of large diameter steel pipes are available in plethora of options & has high tensile strength which makes it quite sturdy.